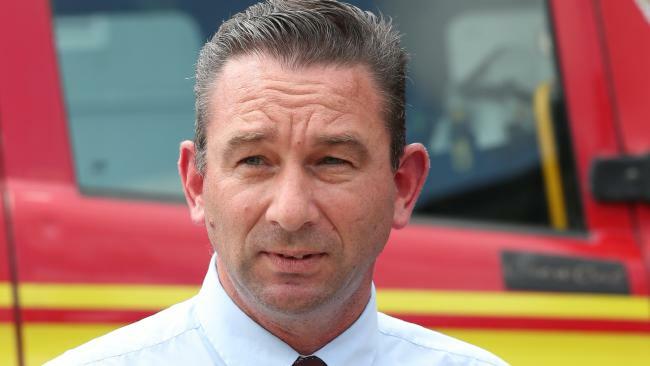 CRAIG Crawford, Queensland's fledgling minister for fire and emergency services, must be convinced that his department's bark is far worse than its bite. Crawford told the recent Budget estimates hearings he's reviewing the three separate response services under his stewardship: Queensland Fire and Emergency Services, the State Emergency Service and the Rural Fire Service. Given the animosity between elements of the organisations, the Minister may have just unleashed the Queensland bureaucracy's equivalent of the three-headed hound Cerberus. Crawford wouldn't be the first emergency services minister to have his hand bitten off after sticking it into the area of fire service reform. He's wisely treading carefully, telling the recent estimates hearings that there will be no job losses as a result of the review. "I want to be very clear that there will be no job losses in respect to what we are talking about here," he said. But Crawford also talked about a future of shared resources and flattening fat middle management structures, which for those in the services would be code for a pseudo amalgamation. "There will be a realignment of resources into regions, increasing the presence within local communities and simplifying management," he said. "The move to a place-based approach to our business will benefit the individual services, being the fire and rescue service, the Rural Fire Service and the SES, as well as our emergency management capability, through increased access to training and realising economies of scale in the management of fleet, equipment and capital works on a statewide basis." Some might suggest that such rhetoric indicates that the outcome has already been decided before the review begins. The Victorian Government has certainly been badly burnt while attempting to fiddle with the structure of its full-time and volunteer firefighters. Premier Daniel Andrews has been accused of being a union stooge, and a minister has resigned amid attempts to split the service into two distinct units - a full-time city brigade and a volunteer country service. Crawford appears to be attempting to achieve the opposite. Rural fireys have been banding together in Queensland since 1865, and the service currently numbers about 36,000 volunteers who give their time at 1500 brigades. They're unlikely to take too kindly to the idea of sharing with others given how hard they've fought for resources over many years. However with the Minister using terms such as "optimising interoperability", "reducing duplication" and "enhanced value for investment", the firefighters have a fight on their hands. An experienced paramedic, Crawford would be wise to have some bandages on hand, because this brawl could get bloody.